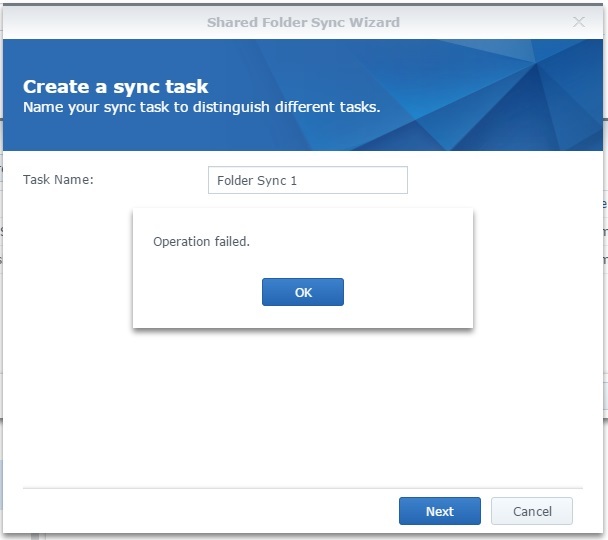 Problem using "Shared Folder Sync"
I have installed multiple XPEnology DS3617 on ESXi server, and setup file sync using DSM's "Shared Folder Sync". Recently, there has problem in "Shared Folder Sync", an error of "Operation failed" is prompted when I press the [Create] or [Edit] button in the task list. This feature should works before, I'm not sure if any recent update in package center cause this issue. Recently, I have updated the "File Station" in package center, and a new version DSM 6.1.3-15152 Update 3 is ready to update, but I have not update yet. Anyone here encounter such problem in "Shared Folder Sync"? Is there any thing I can do to solve this issue? 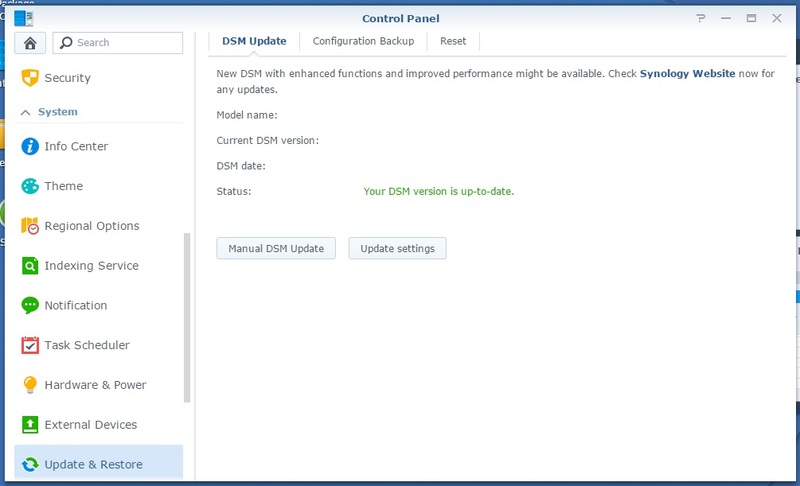 Just try to upgrade the DSM also, but still cannot fix the problem. More information: just tested, the task created is still working, and it can sync the file to other server. But I cannot create any new task, or update the existing task. After searching in internet, it seems to be a issue in DSM, the user account is corrupted. However, I have disabled the admin account, and now my account cannot do anything. It cause "Operation Failed" in many functions. But I cannot follow the step from Synology to reset the account as there does not have reset button in XPEnology. Is there any other way to reset the account, I can still ssh to the server as root, but I don;t know how to reset my account. Reinstalling DSM is more less the equivalent of resetting. Simply chose to keep settings and data during reinstallation.